Last September, Atlassian co-CEO Mike Cannon-Brookes flew from Sydney to New York to have lunch with Trello CEO Michael Pryor. The two met at a Mexican restaurant not too far from Trello’s offices. After the lunch, Cannon-Brookes immediately got on another flight back home. 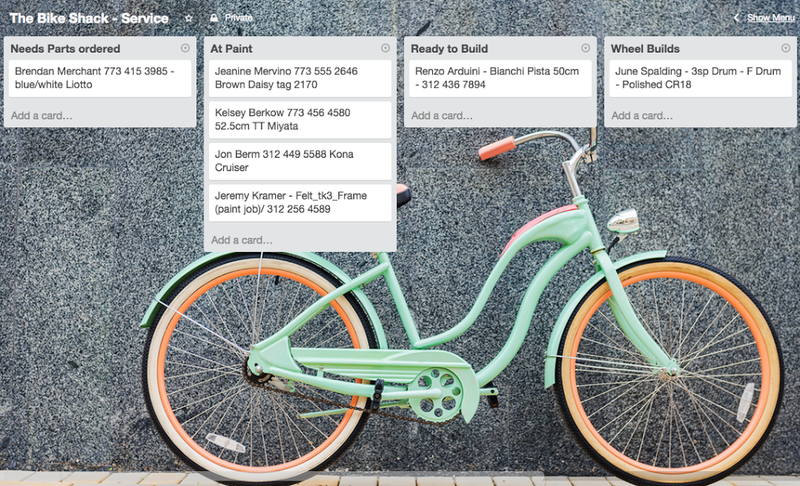 Three months later, Atlassian bought Trello for $424 million — its biggest acquisition yet. Back in 2011, when Trello launched in the TechCrunch Disrupt Battlefield, co-founder Joel Spolsky (who later spun Trello out of his Fog Creek Software business) said that he wanted to build a product for 100 million people. At the time of the acquisition, it had about 19 million. When Pryor told this story to Cannon-Brookes, the Atlassian co-CEO chuckled. “He said, it’s funny because at Atlassian they have these big hairy audacious goals, and a few months ago, we wanted to pass 100 million users,” Pryor recalled. Getting to 100 million with a virtual Post-it board sure sounds like an audacious goal, but Pryor argues that the point here was to set a very big number to ensure the product would be universal and wouldn’t just appeal to a niche. But if things were going so well and a new fundraising round was coming together already, why sell the company? “I was building these pitch decks and I wasn’t thinking about getting acquired. It was just this shocking moment where — wow — I hadn’t thought about this but this deal will help us move a lot faster,” Pryor said. Outside of Atlassian, no other suitors were involved at that time, and Pryor declined to talk about previous acquisition offers, but it seems highly unlikely that the company didn’t receive its fair share of offers. Whoever those other companies were, though, Pryor clearly felt different about Atlassian. “One of the main points Mike [Cannon-Brookes] made when they approached me was to speed us up, not to slow us down,” he told me, and added that he felt that Atlassian had respect for his product and wanted to keep it going as a stand-alone product. It also surely helped that when the two first met, Cannon-Brookes had set up a Trello board with info about Trello’s and Atlassian’s culture and traditions. Indeed, Pryor says that both companies are already learning from each other. For the most part, that’s showing in small ways right now. Atlassian, which has offices all over the world, called its weekly all-hands meeting its “Atlassian Global All Staff,” while Trello, which has 60 percent remote employees, called its own a “townhall.” Atlassian now uses that name. “That sends a signal to our team that it’s not just about us adapting the Atlassian way but that they will learn from us as well,” Pryor said. The Atlassian team also recorded a spoof of Adele’s “Hello” to welcome the Trello team. We haven’t been able to find a copy of this video yet. Pryor noted that Atlassian sent a number of people to Trello’s annual off-site meeting, where the acquisition was announced, including Cannon-Brookes, to field questions from employees. 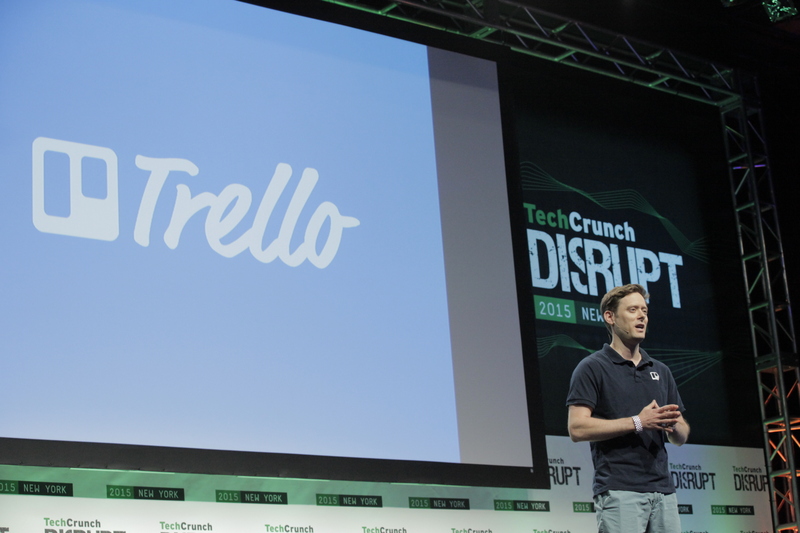 Trello CEO Michael Pryor during Startup Battlefield at Disrupt NY in its runner-up run. As for the acquisition process itself, Pryor told me that he was surprised how relatively smoothly it went. With 17 prior acquisitions behind it, Atlassian had clearly learned its lessons, and, while Pryor noted that there was a lot of work on the legal side, the fact that the two companies were already well aligned helped a lot in the process of negotiating the details. He did admit, though, that you can’t work out everything ahead of time and that you sometimes simply have to wait and see what happens. While the two companies announced the acquisition in early January, it actually only closed two weeks ago, so it’s still too early to tell how well this marriage will work in practice. In terms of both product and culture, the two companies seem to be a pretty good fit, though, and Atlassian has a pretty good track record of integrating its acquisitions into its own portfolio.